We’d love your help. 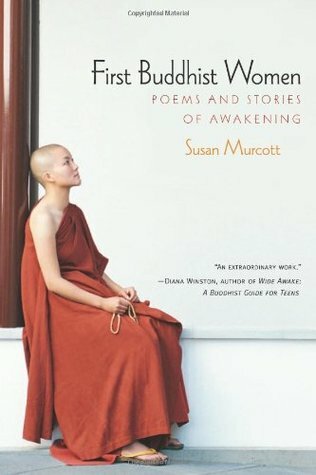 Let us know what’s wrong with this preview of First Buddhist Women by Susan Murcott. To ask other readers questions about First Buddhist Women, please sign up. Does anyone know whats new about the 2006 edition? This is an excellent look at the Therigatha, the stories of the first Buddhist nuns. Murcott gives great backgrounds on both the individual nuns and the context of the times in which they lived. The Therigatha itself is worth a read and the commentary and context provided here help give it more meaning. These were some awesome nuns, especially considering the times they lived in and this book does a good job of really bringing that out. I got this book with the money of the settlement with Amazon. I don't really understand the lawsuit, but I got money so I bought a bunch of kindle books. I have always loved the Therigatha, and was a little disappointed this wasn't a direct translation. But I came to appreciate her commentary on the poems. This is a good book to read after you've read the original and want to read the original again. It's an inspiring work of literature and deserves useful books around it to support it. Those are the words of the first Buddha's daughters. Susan's careful arrangements of historical backgrounds, detailed analysis and mindful comments made the words of those Buddha's daughters alive. Reading this book, I went through all their lives one by one and felt joining the stream of love and compassion. Thank you for such a wonderful work! I read this while on retreat at Deer Park Monastery. I got this book last summer at Dog Eared Books in SF. I think I paid like 4 bucks for it and it was the best 4 bucks I spent in 2007, by far.